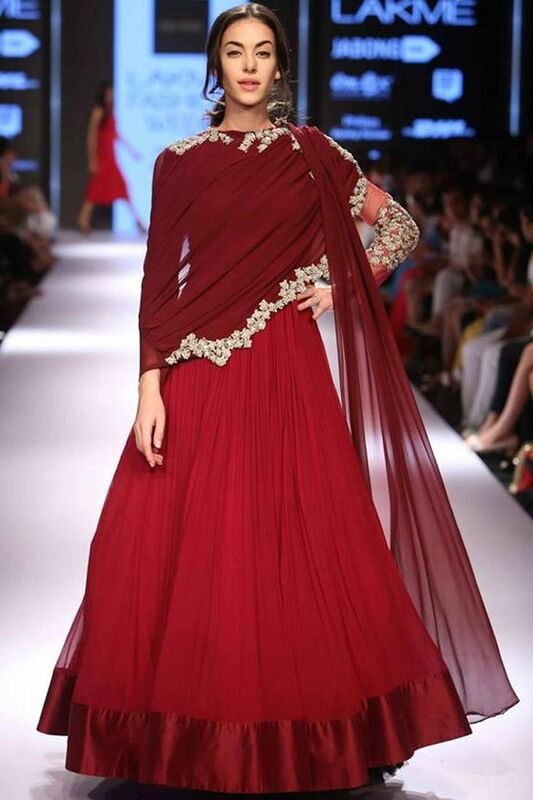 The humble dupatta draping styles are fabulously done in many ways – Inspiration Galore! How often have you stood in front of the mirror, wearing a chic salwar kameez or a Patiala suit and wondered what to do with the dupatta? Should you wear it back to front or front to back, to the side or just let it swivel around? Jitters galore since you are confused. Here’s breaking that confusion for good, since we have ten ways so fabulous to style the dupatta, you’d want to get a little more creative on your own henceforth and flaunt the fabrics in your ways. Read on! 1. 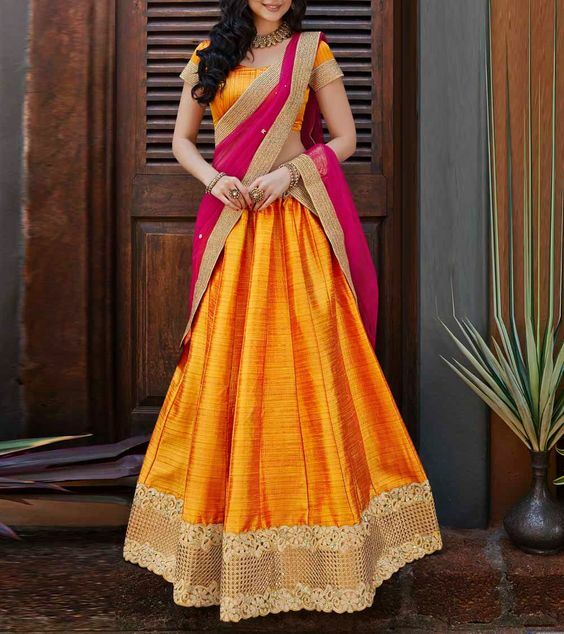 If you have a dupatta in silk to wear with your lehenga choli or ghagra, you could go ahead and drape it around the bust line, front to back and then swivel it around the waist and pin it to the hip for the rest of the fabric to hang loose. 2. The occasion you have been called to or would be attending could be a very formal and a traditional one, which is why wearing the dupatta right is a must. Wear the dupatta this time as a hijab and look pretty. 3. Seek inspiration from eminent designer Ritu Kumar as she shows how a block printed large dupatta can grace the torso and the back with feminine touches; emulate the blanket look for summer evening special events. 4. Overflowing and long worked dupattas need to be flaunted with style, and this is why styling it up like a saree pallu drape with more than two folds would be the apt statement to make. 5. 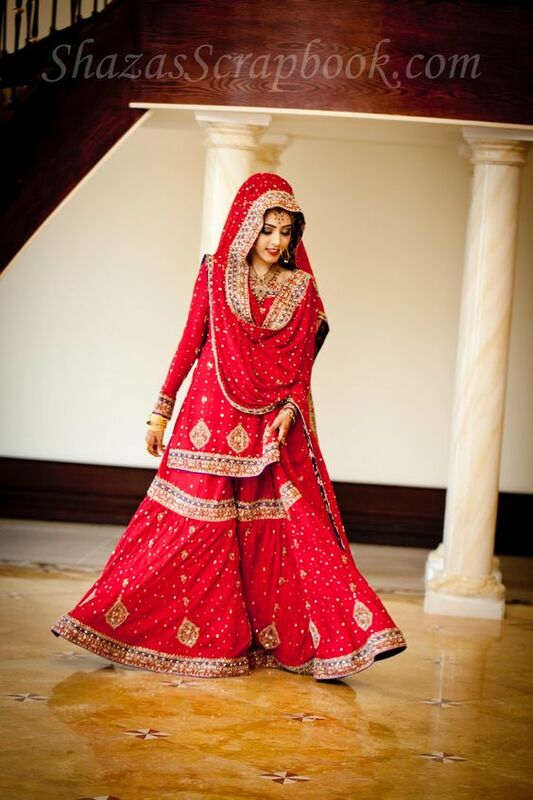 The lehenga drape is an easy but a very elegant way to drape the humble dupatta. One could wear a long skirt with a cropped top and style up the cotton fabric in chic ways as shown. 6. Go ahead and seek inspiration emulating the Grecian way of dressing, but this time draping your humble dupatta in style as the Greek women wear their fabrics. 7. For a very elegant gathering and a formal affair to wear your salwar suits at, you could wear silk dupattas with work done on them. To flaunt the elegance a little more, draping the dupatta from the back and allowing the sides to fall on the arms is the right thing to do. 8. Elegant placed on the bust line and falling on both sides in front, the floral dupattas can make a fashion statement so chic, you’d be flooded with compliments for your style and élan. 9. 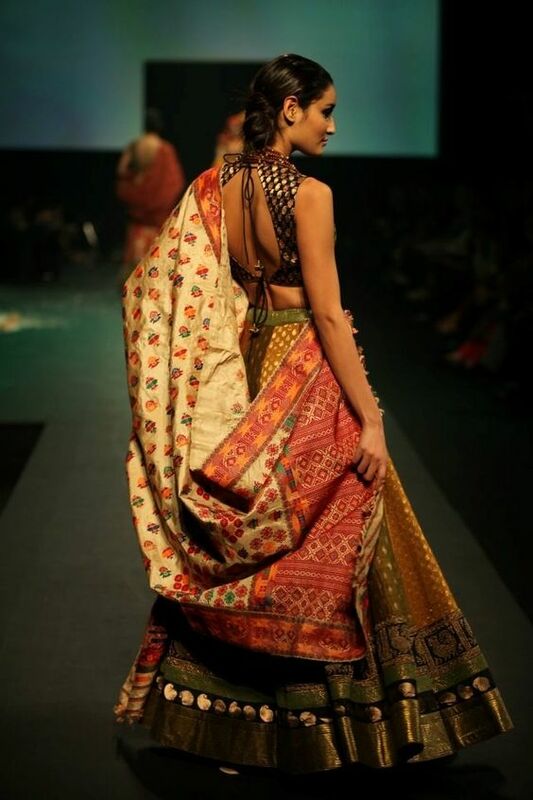 Drape the dupatta as a saree fall when wearing your lehenga choli this time. It brings about an elegant look for sure, and a sassy way to flaunt the feminine sway too. 10. 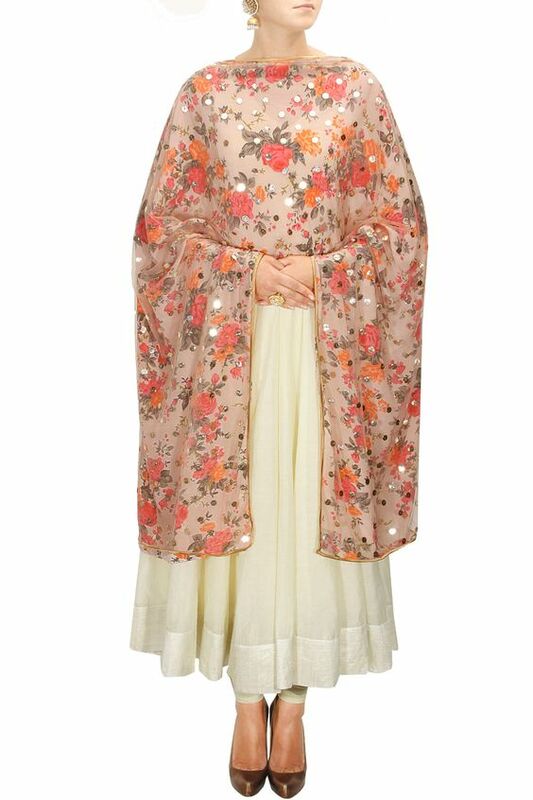 The one-sided draped dupatta is an old fashioned way to let the fabric fall loose. Quirk it up with braided hair quit embellished when attending a wedding or a special party, and make the dupatta dance around in style. We hope these ten ideas on how to wonderfully drape your dupatta gives you an idea on getting all creative with the fabric. Let us know your style too and we would love to flaunt them someday!